In the midst of e-commerce fierce competition, giving customers delivery options is one value added business owners can do to stand out. Amazon Prime's success story shows us that there’s demand for instant delivery. But the problem is, instant and same-day delivery can be costly thus, reducing profits. It is said that 28% of total delivery cost comes from last mile delivery. Last mile delivery: What & Why? Last-mile delivery is the movement of goods from the retailer’s transportation hub to the final destination - consumer homes or retailers. It’s suitable for businesses who are looking for ways to offer personalised, flexible and convenient delivery option to their customers. Most of the time, the challenge with delivery is timing. Goods are sometimes delivered when customers are not at home, requested to be sent at a specific time or taking too long to arrive. How last-mile delivery changes your business? This is what makes last-mile delivery different. Last-mile delivery allows business owners to set the time when the goods should be sent to the customers. By offering flexibility and convenience, more and more business owners shift toward last-mile delivery for their logistic option. While it becomes a value added for e-commerce, at the same time, more online businesses are also made possible by last-mile delivery. Flowers and groceries are some of the examples. Buying these fresh goods online were not so popular because of delivery barrier. With Lalamove, customers receive goods immediately to ensure products’ quality. Business owners with bulky products, such as furniture, also depend heavily on logistic company if they don’t have in-house delivery system. When choosing the right logistic partners, owners are recommended to pick the one who provide real-time tracking, appointed account specialist, as well as multi-point deliveries, such as Lalamove. Last-mile delivery and e-commerce are supporting each other to grow. Time efficiency and delivery options are some of the major decision-making criteria for customers to purchase. 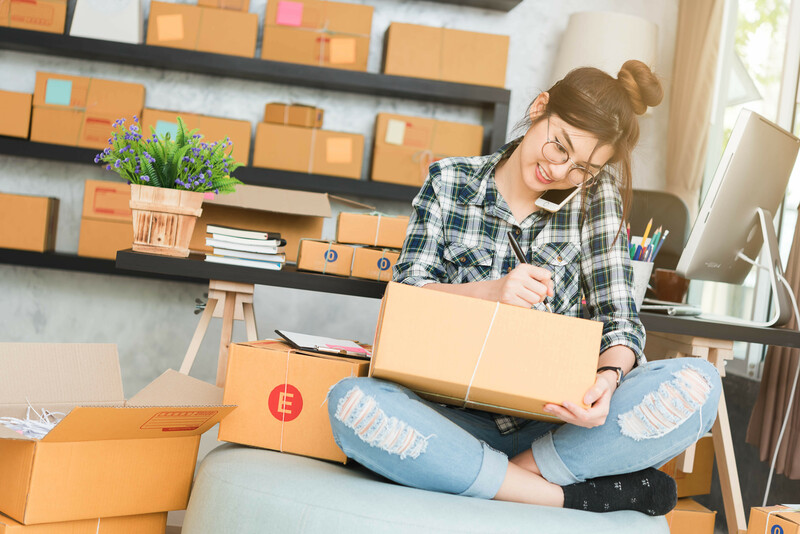 With that being said, it is is becoming the norm for online shops to provide a wide range of delivery options for customers, including same day delivery and instant deliveries. E-commerce itself is a fast growing industry with hundreds of key players and thousands of small businesses. Today, 23% of customers are willing to pay extra for the same day delivery service. As the industry grows, it is likely last-mile delivery will also increase in demand. Our partner, Merci Dandy, a men’s fashion retailer, specialises in delivering hand-picked outfits for customers to try at home and return the ones they do not want. Through integrating Lalamove's last-mile delivery, Merci Dandy realise their business model, sucessfully offering a unique and flexible shopping experience.